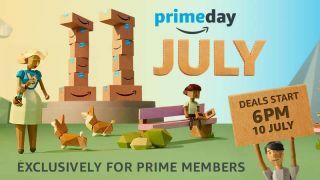 Amazon Prime Day has been announced for July 11 which means dangerous amounts of savings exclusively for Prime customers. The good news is that if you aren't already signed up and ready to bathe in the approaching Amazon deals over the 30 hour day, then Amazon UK is currently offering a yearly Prime subscription for £59. That's £20 off the normal annual membership of £79 and is only only available until July 3. If Prime Day, Prime music, the free next day delivery and money off pre-order games all year round can't tempt you, remember that an Amazon Prime membership gives you automatic free Twitch Prime membership. That means ad-free Twitch viewing, a free channel subscription every 30 days and for a limited time, one Golden Overwatch loot box and ten standard loot boxes over August and October. Just head here to find out how to link your Amazon Prime account with your Twitch one. Prime day itself is a veritable Christmas of savings, including the aforementioned 30 hour shopping day and thousands of reduced prices. There will also be exclusive promotions running for Prime customers running up to the day itself. You can check all the current deals here Currently these include four months of Amazon music for only 99p and 40% off a Kindle Unlimited Membership is an upcoming offer exclusively for Prime customers. You can keep an eye on savings using the Amazon app and we'll keep you updated on the biggest Amazon deals as they happen. Plus, if you're on the fence when it comes to Prime, you can always try a free 30 day subscription and make the most of all the special offers. Looking for more bargains? Check out our best PS4 and PS4 Pro deals and best Xbox One deals.